In an effort to explore options for addressing Vermont’s long-term electricity needs, a consortium of Vermont utilities retained The Essex Partnership to examine and compare regulatory issues related to siting new generation in the state. 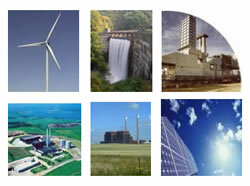 The study examines a variety of generation technologies ranging from nuclear and coal to hydro, wind, and biomass. In addition to regulatory issues, the study outlines transmission and other infrastructure constraints that influence siting and costs. Results of the study are being used to inform decisions regarding future investments in new generation supplies. A copy of the study can be viewed here.